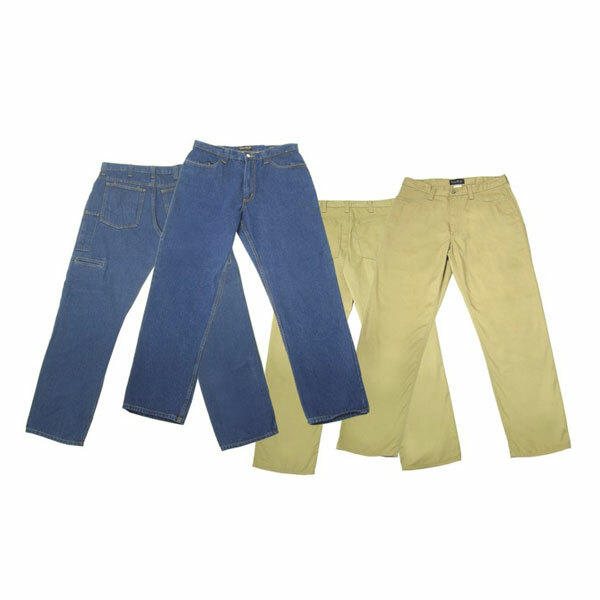 Available in blue denim jean and covert khaki poly cotton pant. 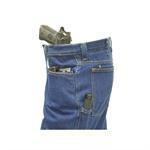 Ambidextrous pistol pocket, which conceals weapon in waistband. 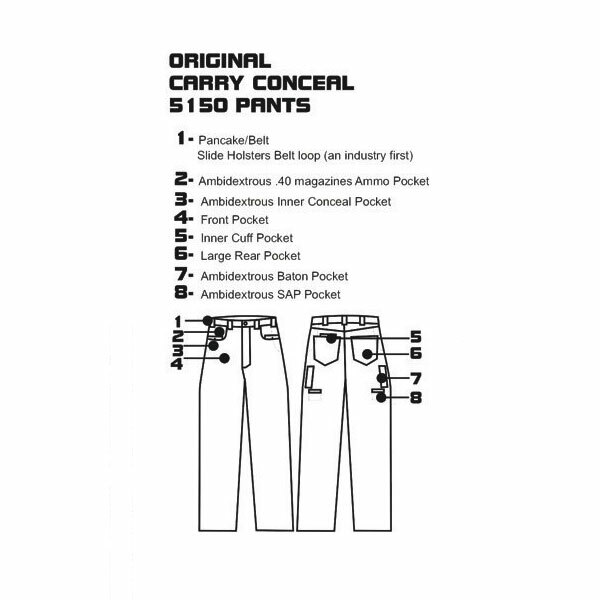 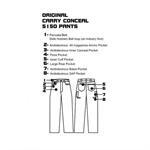 Ambidextrous double magazine pouches, concealed in front pant pocket for quick magazine changes and concealment (designed to carry double stacked 9mm and .40cal magazines). Ambidextrous utility pocket for collapsible baton or tactical flash light.